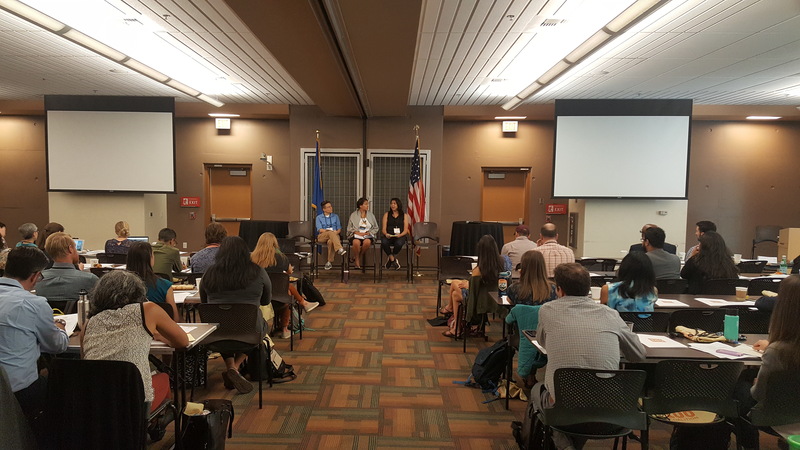 WASHINGTON, May 7, 2018 – The Next 100 Coalition, a group of 50 civil rights, environmental justice, conservation, and community organizations, heralded the success of its May 4-5 summit in Las Vegas and thanked participants — including U.S. Senator Catherine Cortez Masto — for their input and ideas on how best to promote and implement a more equitable and inclusive public lands and conservation system. View pictures from the Next 100 Coalition’s summit. In her address to summit participants Saturday morning, Senator Cortez Masto stressed the importance of diversity, equity, and inclusion in public lands management, particularly highlighting the public health and economic benefits of those spaces and the need for greater access to those opportunities for underserved communities. She spoke to the need for a more diverse public lands workforce. She also emphasized the need for more youth development and internship programs to build the pipeline for tomorrow’s conservation and public lands workforce and entrepreneurs. Listen to Nevada Public Radio’s coverage of the Next 100 Coalition summit. The Coalition’s summit came at a time when public land vital to diverse communities in the West, including Gold Butte National Monument, are under threat. It also followed recent derogatory remarks from Interior Secretary Ryan Zinke on the value of diversity within his own department. Throughout history, our public lands — including national parks, forests, waters, wetlands monuments and other areas — have played an important role in shaping America’s identity. Unfortunately, these lands have not always accurately reflected the true nature of our country’s demographic and ethnic diversity and contributions. This disconnect is becoming more apparent as the face of our country continues to change at a rapid pace and more urgent because the future of our public lands will depend upon public support from all people. Without a broad base of support, we are at risk of losing the historic, cultural, natural, spiritual, economic and recreational resources that our public lands currently provide and of missing opportunities to identify and conserve other valuable resources for future generations. A public lands and conservation workforce that reflects the growing diversity of our nation, both in rank-and-file positions in throughout leadership ranks. Abundant opportunities for people, especially those from marginalized communities, to enjoy nature and outdoor recreation, through federal public lands, state parks, and city open space. Establishment of public lands that reflect the diverse culture and experiences of our people, and respect and uplift our collective experience in America.